For auto body repair in Venice, FL, put your vehicle in the hands of technicians who know it inside and out. 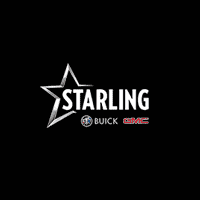 Starling Buick GMC Venice has certified technicians that assist with all makes. As color match specialists, we work with high-quality PPG Enviro Base paint, which means you won’t be able to tell where the damage was. Come to our body shop in Venice the next time you need major collision repair, and we’ll give you a free estimate. As your dedicated automotive specialists, we’re committed to providing you with the highest quality service. We pride ourselves in ensuring that we get you back on the road as quickly as possible, which makes choosing Starling Buick GMC Venice the best choice.